Over the weekend, a new season of anime Cardcaptor Sakura premiered, after being off the air since 2000. Although many things have stayed the same in the sleepy town of Tomoeda, protagonist Sakura has gone through some important changes since we last saw her. The original Cardcaptor Sakura series aired from 1998 to 2000. Based on the manga by the prolific and acclaimed manga artist group CLAMP, it was about Sakura, a young girl who discovers she has magic powers. Sakura discovers a book in her basement that’s full of cards named after forces of nature, nouns, emotions, or abstract concepts—The Windy, The Dark and The Return, for example. When she opens the book she sets them loose, wreaking havoc on her small town of Tomoeda. The guardian of the cards, Kero, appoints Sakura as the “cardcaptor” and grants her a magic staff that will allow her to seal them again. 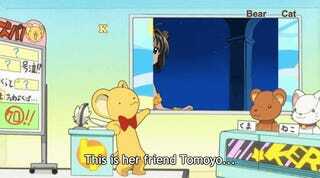 That all happens in the first episode, which also introduces us to Tomoyo, Sakura’s rich best friend who makes her costumes and is also in love with her; her dad, who is half of the reincarnation of an ancient magician; her brother’s friend Yukito, who is unwittingly the human vessel for another guardian of the cards named Yue; and her brother Toya, who is in a secret relationship with Yukito. Trying to summarize this show is impossible. This new series, which is called Cardcaptor Sakura: Clear Card and is being simulcast on Crunchyroll, picks up after the end of the previous anime, and is being released along with a new manga from CLAMP. It isn’t just a return of old characters, but the return of the entire cast of the previous series. It’s produced by the studio Madhouse, who animated the original show, and the opening theme song is sung by Maaya Sakamoto, who sang “Platinum,” which was the final opening theme from the previous anime. Watching the new Cardcaptor Sakura is like stepping back in time. It’s all the characters I know in a town I recognize. As Sakura reunites with her star-crossed love, Syaoran Li, the score swells into the chorus from “Platinum.” It’s incredibly nostalgic. But things are also different. Sakura is in middle school now, and after having admitted to Syaoran that she has feelings for him, their dynamic has changed. Some of her friends have gone to different schools, and some have moved away. She also simply doesn’t have to capture cards anymore—she has all of them. She also gets (you guessed it) a new staff. 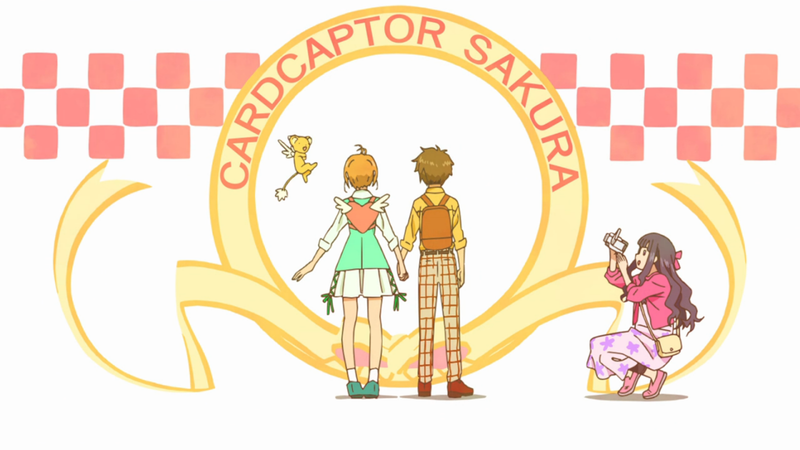 What make Cardcaptor Sakura compelling wasn’t just the beautiful animation and fun costumes, but also the way the show used each episode’s card to reflect an emotional problem that Sakura or one of her friends was going through. 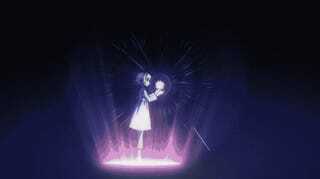 In Clear Card, after a prophetic dream, Sakura finds that all the cards she’s captured so far have turned clear. The cards themselves are not magical anymore, and it seems like she will have to capture their magic again. Sakura had a prophetic dream in the first episode of the original series, and she’s already had to recapture the cards once before. In the new series’ premiere, she recaptures the very first card she was able to use, from the very first episode, except when she seals it, she discovers it’s now called The Gale instead of The Windy. She’s returning to events of her past, but it isn’t quite the same as she remembered it. The conceit of Cardcaptor Sakura is convoluted enough before you start adding more stuff onto it, but the new season doesn’t just seem to be nostalgic for the sake of it. Specific references to the past are more interesting because of their small differences, not just in the events themselves, but the current emotional states of the characters. I hope the rest of the series builds on the more interesting parts of this first episode.